The Best Recruitment Podcasts from thousands of Recruitment Podcasts on the web using search and social metrics. Subscribe to these audio podcasts because they are actively working to educate, inspire, and empower their readers with frequent updates and high-quality episodes. CONGRATULATIONS to every podcaster that has made this Top Recruitment Podcasts list! This is the most comprehensive list of best Recruitment Podcasts on the internet and I’m honoured to have you as part of this! I personally give you a high-five and want to thank you for your contribution to this world. Recruiting Podcast newsletter is a comprehensive summary of the day's most important audio podcasts episodes from the best podcasters on the web, and delivered to your email inbox each morning. To subscribe, simply provide us with your email address. Chicago, IL About Podcast Changing the conversation around recruiting, employer brand and hiring. The Talent Cast podcast will show you how employer branding and recruitment marketing can help even your company hire better talent. Facebook fans n/a. Twitter followers 5,279. St. Petersburg, Florida About Podcast He helps more than 23,000 organizations across the globe to eliminate the stress and overwhelm of recruiting and hiring. He has shown them a method for creating an instantaneous job filling system that eliminates hiring delays. Facebook fans 1,165. Twitter followers 1,990. About Podcast Chad & Cheese is a recruitment podcast. They bring a unique perspective to recruitment news, filled with snarky commentary and opinions they're not afraid to share, so much so they've gained a Parental Advisory label. This podcasts full of brash opinion and recruiting industry snark right here. Facebook fans 216. Twitter followers n/a. Edinburgh, Scotland About Podcast A weekly podcast dedicated to innovation and futurology in recruitment and HR. In each episode Matt Alder interviews thought leaders and practitioners who are influencing and changing an industry. Facebook fans 457. Twitter followers 16,889. About Podcast DG Recruit helps you maximize your career in agency recruitment. Hosted by Dandan Zhu, top-billing headhunter, the DG Recruit Podcast breaks down everything you need to know about your career in agency recruitment and how to achieve success in our exciting industry of headhunting. Facebook fans 757. Twitter followers 636. About Podcast A Big Ten recruiting podcast featuring Allen Trieu and Steve Wiltfong, powered by 247Sports and Scout. To know more on this, subscribe with us. About Podcast We support Recruitment Leaders to grow their businesses and improve profitability through effective digital marketing and technology solutions. 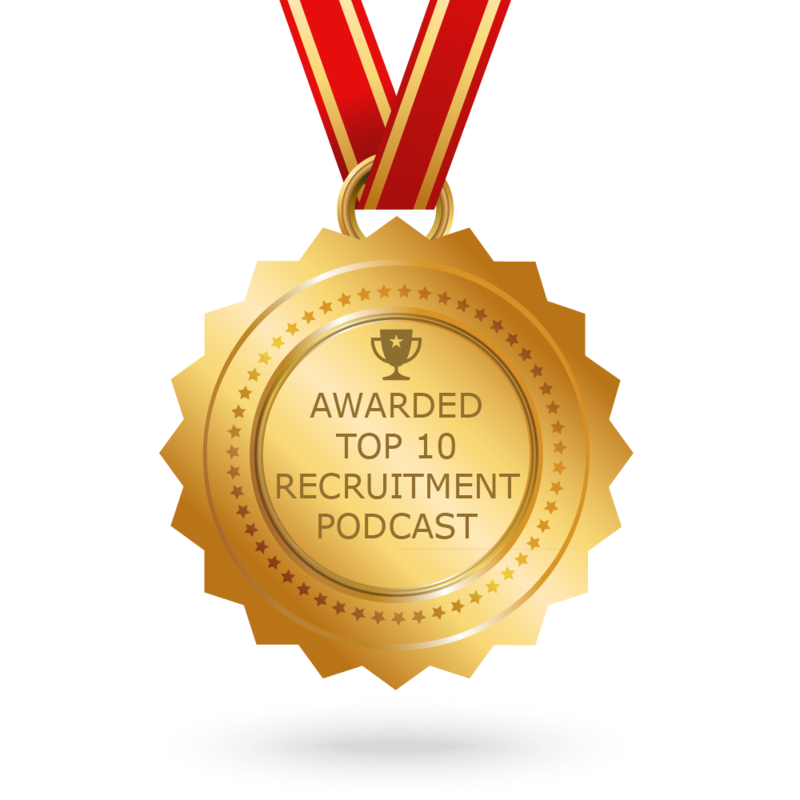 Specialising in technology and social media for recruitment, Barclay Jones podcast reflects this with interviews from all the top providers and influencers. There are also bite-sized chunks of general recruitment stuff from commission to candidates. Facebook fans 450. Twitter followers 2,053. USA About Podcast Real advice from real HR and Recruiting leaders in real time. All the time. RecruitingDaily is the leader for Recruiting, Human Resources & Talent Acquisition professionals globally. Recruiting News and Views from industry experts. Facebook fans 10,686. Twitter followers 84,986. San Francisco, CA About Podcast Entelo is a new and better way to recruit. The Entelo platform leverages big data, predictive analytics and social signals to help recruiting organizations find, qualify and engage with in-demand talent. Using predictive algorithms, data-backed insights, and the single largest source of recruiting data, period, we've created a recruiting automation platform to help you recruit faster, smarter, and better. Facebook fans 1,186. Twitter followers 8,405. About Podcast Starring recruiting leadership from everywhere under the talent acquisition sun, Talk Talent To Me is a fast-paced rough-and-tumble tour through the strategies, metrics, techniques, and trends shaping the recruitment industry.